minimum:maximum (1973): texts / sounds / pictures. An environment (simultaneous concert in Stockholm and Bremen) for two organists: Karl-Erik Welin and Gerd Zacher, keyboard instruments. orient:occident (1977): for two woodwind-players and tape: Ingo Goritzki, oboe; Hans-Wilhelm Goetzke, clarinet. 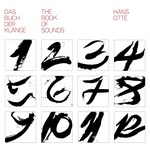 "Perhaps best known for his piano work 'Book of Sounds' these two works by German composer Hans Otte were composed in the 1970s. In that decade his aesthetic creed became increasingly clear: 'the search for the character and individuality of sound as such, which must be rediscovered and re-experienced independent of superimposed structures. The composer understands the dialogue with sounds as the discovery of their nature.' (Ute Schalz-Laurenze). While Hans Otte was an enthusiastic, one might say visionary promoter of fellow composers, such as John Cage and David Tudor, whose impacts had registered to the general public long after their force reached the surface, he nevertheless remained deeply committed to his own music. Otte's writings, simple lines that say: 'words are just something added on'; 'all great things laugh'; 'when something is reminiscent of nothing'; and, 'it's really something -- that voice that was once in the mouth,' all direct us to his music, because: 'everything always happens: Now.' It is Otte's music that betrays his particularity of thought to what (is everything), how (it happens), and when (is now). Words are just something added on. Collectively, these aphorisms reflect an aesthetic that dispenses with words which may address themselves to an understanding of the world. Here, however, the world to be understood is indescribable. What is everything? When is now? How does it happen? The message is that words tell, music is. Listen. The titles of these works: orient:occident and minimum:maximum, suggest a relationship between seemingly disparate things to remind us of Otte's adage: 'It is the gardener who owns the garden.'"